Cognitive Capitalism argues the political economy born with Adam Smith no longer offers us the possibility of understanding the value, wealth and complexity of the world economic system. Gerardo Serra holds that despite its occasional verbosity and lack of clarity, the book is valuable for the way it prompts readers into asking uneasy questions about the nature of the economic system we live in. Cognitive Capitalism. Yann Moulier Boutang. Polity Press. April 2012. In an overwhelming landscape of economic publications concerned with the recession, Cognitive Capitalism is certainly to be welcomed. The relevance of the book does not stem from the way it explains the crisis, as this is dealt with only in the last chapter (an addition which came after the publication of the 2007 French edition), but from the way it accounts for the distinctive nature of contemporary capitalism. 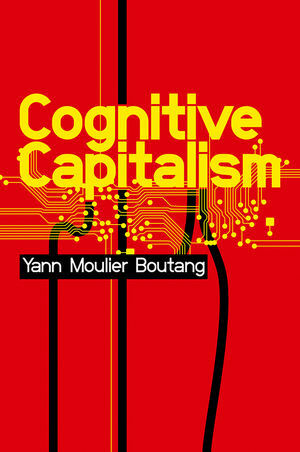 Author Yann Moulier Boutang is a French heterodox economist well versed in philosophy and sociology. Boutang has devoted the last few years to analysing the rise and impact of knowledge as a factor of production in contemporary economies. The book reviews existing accounts of the structure and the nature of contemporary capitalism, with labels that foreshadow the book’s characteristic wit: “old wine in new bottles”, “new wine and new bottles” and “new wine in old bottles”. Examples of the first category include the much-talked about “knowledge economy” and the “information society”. None of these frameworks, according to Boutang, provides “a shoe that really fits the foot of the new Cinderella of capitalism” (p. 46). At the same time, whilst adopting a mainly Marxist analytical template (although largely contaminated by many and varied intellectual influences), Boutang is critical of orthodox academic Marxism, which he claims remains “too busy trying to combine calculations of general equilibrium with the orthodoxy of the sacred texts of value”, and also for recycling “the old recipes of socialist planning” (pp. 6-7). Cognitive capitalism can be explained by looking at the change taking place in three foundational elements common to every economic system: the type of accumulation, the mode of production, and the type of exploitation (p. 56). Changes in the configuration of these three elements have determined through human history the shift from mercantile capitalism, “based on the hegemony of mechanisms of merchant and finance accumulation’” in the sixteenth and seventeenth century, to the rise of industrial capitalism, founded on “the accumulation of physical labour” (p. 50). Since 1975, the rise of new technologies has driven the beginning of “cognitive capitalism”. This type of capitalism is an economic system characterised by the fact that “the object of accumulation consists mainly of knowledge, which becomes the basic source of value, as well as the principal location of the process of valorisation” (p. 57). Most of the book is devoted to a detailed exploration of the wide-ranging implications of this change. The last part of the volume addresses specifically the 2008 recession in the light of the broader history of cognitive capitalism, and suggests new directions for policy-making. The cognitive basis of the contemporary economy leads to a new situation in which the notion of scarcity, which traditionally permeates economic analysis, refers less and less to physical goods, and starts instead an application towards notions such as cognitive attention, time and affective attention (p. 72). Furthermore, the knowledge-centred economy profoundly reshapes the division of labour by favouring the emergence of a more horizontal structure, kept together by the existence of virtual networks or collective intelligence systems, such as the Internet. The production of knowledge by means of knowledge (versus the production of commodities by means of commodities typical of industrial capitalism) has important implications for the patterns of wealth appropriation (and therefore distribution), by redesigning property rights and expanding dramatically the role of externalities in the creation of wealth. However, like other historical phases of capitalism, its cognitive version carries inbuilt the source of its own instability, represented by the “exploitation of the invention power”(versus the “traditional” exploitation of labour power of industrial capitalism). Awareness of the novel features of cognitive capitalism requires a radical change in economic policy. In the words of the author, “we need to remove the epistemological obstacles to a shift of paradigm. Capitalism is in the process of doing this in its own account. It would be tragic if society were not able to do the same” (p. 149). Among the policies indicated by Boutang the provision of a guaranteed social income, if distributed unconditionally, could be considered an apt response to the decentralised and polycentric nature of cognitive exploitation. Certainly the book shows the considerable amount of thinking and effort put by the author in attempting to deal systematically with extremely complex dynamics but the reader cannot fail to notice the tortuosity of certain trains of thought, and a sporadic redundancy in the presentation of the arguments. Indeed the volume presents all the qualities and flaws which typically characterise very ambitious works: A powerful, imaginative vision helps frame claims which sometimes, taken singularly, do not sound too convincing. This is especially the case when it comes to bridging the link between the cognitive basis of contemporary capitalism and the need to rethink environmental policy. The book will be appreciated very unevenly across the social sciences community. It might receive a warmer reception among economic sociologists, more inclined to look at the nexus of social, political and economic aspects of capitalism, than amongst economists. However, the latter category might find interesting some aspects of the underlying methodological critique which imbues the book with respect to the identification of the novel features of cognitive capitalism. Also scholars interested in the social repercussions of new technologies and media theorists might benefit from reading the book. In spite of its occasional verbosity and lack of clarity, Cognitive Capitalism is valuable for the way it prompts readers into asking uneasy questions about the nature of the economic system we live in. Gerardo Serra is a second year PhD student in the Department of Economic History at the London School of Economics. His main research interests are the history and methodology of economics, and colonial and postcolonial African economic history. His thesis analyses the relationship between economic theory, statistics and policy design and implementation in late colonial and postcolonial Ghana. Read more reviews by Gerardo.